When you first encounter pain in your back, you can try some home remedies, and for a great many cases, you will be successful in treating your pain. But there may come a time when you need to seek professional help. Knowing the many options that are available to you is helpful. 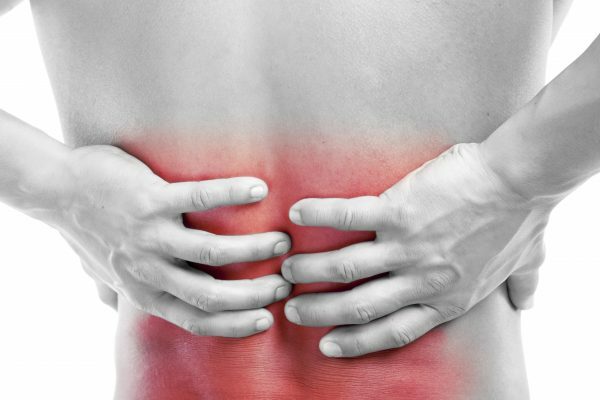 There is no reason to suffer from back pain as it can be very debilitating. Eventually, the pain can lead to depression if you do not take care of the situation. So, try the home remedies first but move on to professional care if that is not successful within 6 weeks. When you first encounter back problems that are not severe, you can start out as your own doctor and try some home remedies. Often the back pain will be alleviated. Here are some home remedies to try. Rest from the activity that caused the problem in the first place. Lie down in a comfortable position to relieve the stress on your back. Take pain medication and over the counter muscle relaxants. Use warm and cold packs to stimulate the blood flow and reduce swelling in the area. Use a medicated topical rub on the area. Gently exercise to reduce muscle tension. Support your back with a brace for stressful activities. If these home remedies fail to give you relief, it is time to seek a medical professional help. Here are some therapists and doctors who can help you with your back problems. When you seek medical assistance from a pain treatment clinic, you can be assured that the well-trained doctors will suggest the least intrusive methods or a combination of approaches to solving the issue first. Only when these treatment options do not bring relief will the professionals suggest surgery. All of the doctors for your back problems have the goal of providing effective assistance. But each will play a specific role in your treatment. Primary Care Physician: First, you may seek help from your regular doctor who can write a prescription for your pain. He or she may also suggest lifestyle changes such as an exercise program, quitting smoking or weight loss. Most likely he or she will recommend seeing a pain care doctor for a specific diagnosis and treatment for your chronic pain. The pain doctors in New York or pain doctors in New Jersey are conveniently located at pain treatment clinic in your neighborhood. Massage Therapist: Medical massage therapy is more intensive and specific than recreational massage. Nonetheless, it can be instrumental in alleviating pain due to muscle tension, problems with tendons and other soft tissue issues. When your massage therapist works in coordination with a pain specialist doctor who has developed an accurate diagnosis for your condition, the results can be very helpful. Physical Therapist: A physical therapist will develop a program for your specific issue. It is essential to exercise the right set of muscles or to treat the exact area that is causing the problem to experience results. For example, if you are having difficulty with your sciatic nerve, you might feel pain in one or both of your legs, but the problem is situated in your spine due to the fact that one disk may be pressing on this specific nerve. Developing stronger core muscles and working on proper posture for your back may be included in your physical therapy sessions. Also, your physical therapist will advise you on how to perform daily or work activities to avoid any further damage. She or he may even suggest using a brace to support your back for certain repeated motions for your daily activities. Chiropractor: A chiropractor specializes in spine manipulation to place the spine back into the correct position. When your spine isn’t correctly aligned, you can also experience pain in some of your muscles too. Acupuncturist: This ancient practice can be beneficial in helping to block the pain signal from your brain so that you feel relief while you are working on the primary cause of your numbness or tingling and pain. Psychiatrist: Since stress can be a massive factor in back pain, you may find some relief by seeing a psychiatrist. If you are under pressure from work or a family problem, that condition can manifest itself physically as back pain. Your whole body may be tense with worrying about whatever the problem is. Tight back muscles can pull on your spine and put pressure on your spinal cord causing pain. Osteopathic Doctor: This type of doctor focuses on the alignment of body parts and the interrelationship of the nerves, muscles, bones, and joints. Treatment often consists of manipulation or any other procedure that is non-surgical. Back Pain Specialist: These pain doctors treat all sorts of back conditions. They specialize in acquiring an accurate diagnosis and then they will take many routes to solve the problem, including coordinating with a surgeon and other specialists. They can offer injections of prescription pain medication and anti-inflammatories for example. They usually are associated with a pain treatment clinic. Spine Specialist: This is the general name for anyone who treats problems with the spine and includes therapists, psychiatrists, and surgeons for example. Orthopedic Surgeon: These surgeons treat musculoskeletal issues such as spinal disorders, arthritis, broken bones, and trauma. Neurosurgeon: These surgeons focus on disorders of the spine, spinal cord, and nerves. Many people suffer from back pain. It is a prevalent issue. Home remedies can be effective. If the pain becomes chronic, it is not healthy to just put up with the condition. Seeking professional help is necessary. Look for pain doctors in NY or pain doctors in NJ located in pain treatment clinics close to your home. The many types of specialists who treat back pain will start with the least intrusive methods. Hopefully, these will be successful. If in the rare case you need surgery, there are many options to suit your lifestyle.